Sorrow’s grip is relentless until a rambunctious ball of fur and a handsome dog wrangler break its hold. Four years after his partner died, leaving him to raise their daughter alone, Mason Ford still grieves his loss. Resigned to devoting his life to their little Nik, Mason goes through his days exhausted by the nightmares that keep him from sleeping. When he and Nik meet Jeremy Coulter, dog wrangler extraordinaire, their cozy world is upended. Mason’s attraction to the exuberant man with the teasing smile is unfamiliar and frightening, while Nik’s easy camaraderie with Jeremy is instantaneous. When Jeremy saves Nik’s life, Mason wonders if he has fallen for the much younger man or are his feelings nothing more than obligation? Is it possible that love at first sight is real? This short story is a whole lotta sugary sweet insta-love. When a grieving widower with a cute kid adopts an adorable dog, he catches the eye of a young and pretty animal shelter worker. This is a very short read and it is more than a little bit predictable, but it added a much needed dose of sunshine to my day. With a shriek heard from sea to shining sea when her first book, Heartache and Hope, was accepted for publication, C.L. began her journey into the world of storytelling. Having raised a husband and three children, C.L. spends her free time reading and enjoying her life. After acquiring a wealth of experience in consumer and mortgage finance, software support, and nursing, C.L. is ready to nurture her creative muse. A self-described romance novel junky who considers tequila a food group, C.L. began hearing voices and was alarmed until she realized there was a cast of characters banging around in her head, demanding their stories be told. Not wanting to let them down, she keeps her laptop nearby and her thesaurus handy. 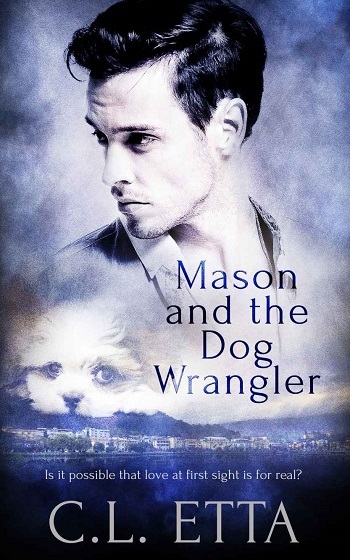 Reviewers on the Wicked Reads Review Team were provided a free copy of Mason and the Dog Wrangler by C.L. Etta to read and review.